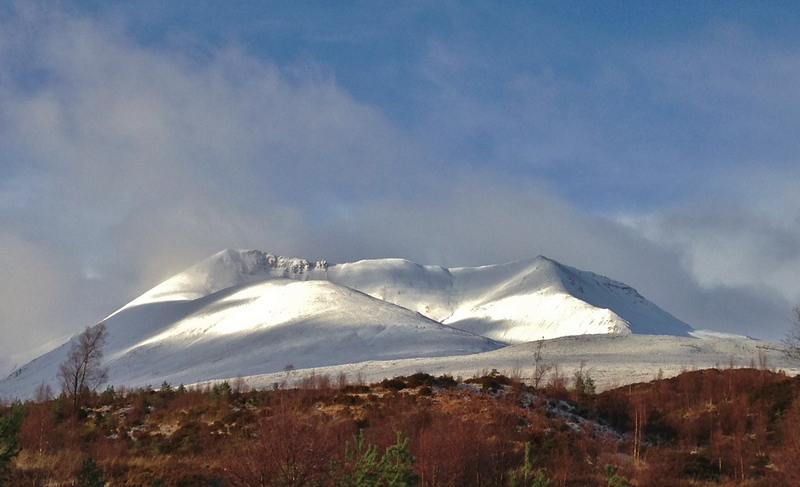 SAIS Torridon Blog » Winter Wonderland? Not quite! The mountains look more ‘snowy’ than they actually are as overnight new snow accumulations were not as significant as expected, with a generally shallow snowpack. However, there are deeper drifts in sheltered locations mostly above 600m and localised areas of windslab displaying weaknesses centred around buried layers of graupel. Today’s snow showers will continue through tomorrow. Glen Torridon this morning with a wintry looking Sgurr Dubh, Liathach and Coire an Laoigh of Beinn Eighe, left to right. Freezing at all levels with snow on the road. 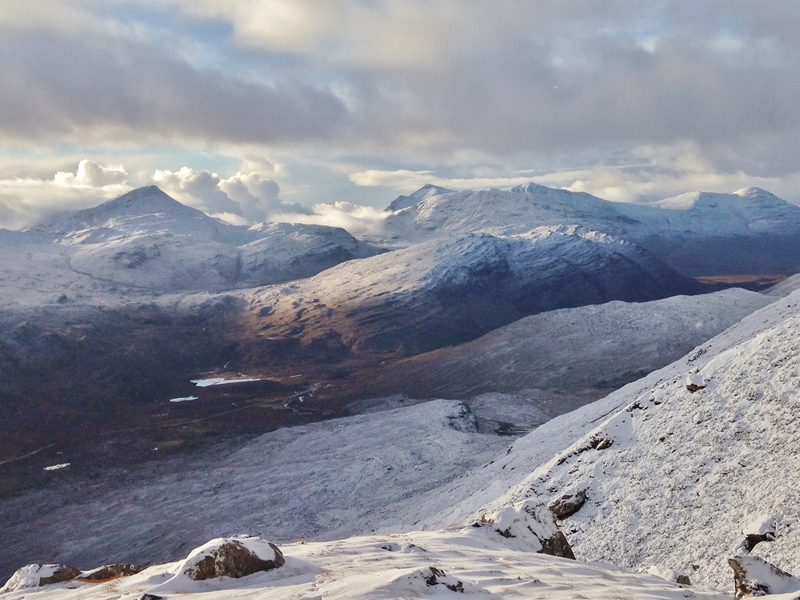 Beinn Eighe – Sgurr nan Fhir Duibhe (with The Black Carls) and Creag Dhubh. Looks very snowy, but shallow snowpack in most places with some ridges scoured. 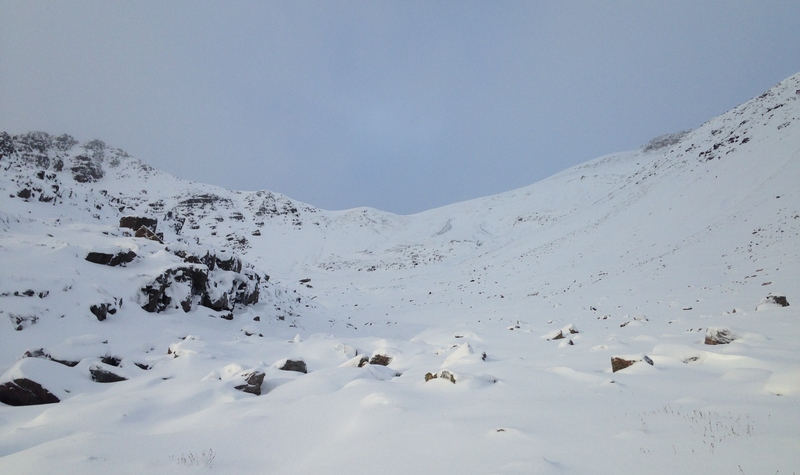 Coire an Laoigh, Beinn Eighe – the location for todays observations. Looking south-east out of Coire an Laoigh with Sgurr nan Fhir Duibhe on the left and Loch Clair in the glen. Looking south across Glen Torridon onto the south Torridon hills of Maol Chean-dearg and Beinn Damh. 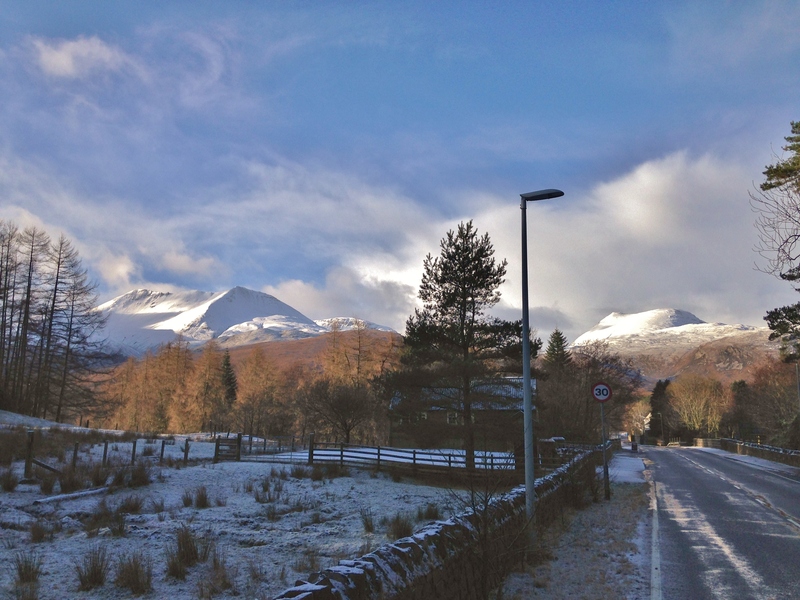 The ‘bustling’ winter resort of Kinlochewe….. Beinn Eighe on the left and Meall a’ Ghuithais on the right. Is that a tumbleweed I see…. ?